Glue There is 1 product. Miniature & Model Super Glue. With the precision nozzle you can apply tiny drops exactly where you need them. 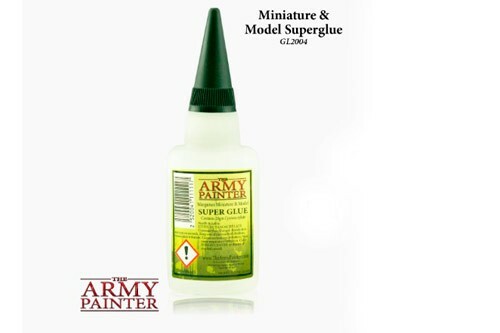 This Superglue is extreme value for money and the quality and thickness of the glue makes it the natural choice for any Wargamer. No doubt the best value Superglue on the market today.